Voice-Boards.com is owned by Electronic Voice Services, Inc. (EVS) and was incorporated in January 1993 in Dallas, Texas. Our corporate sales office is located in Dallas, Texas, and we also have an office in Forestdale, Massachusetts. You might be asking yourself “why Voice-Boards.com”? When we first began creating Computer Telephony software, everything was hardware based. We started out using Rhetorex cards and then soon transitioned over to Dialogic cards for use with our software. 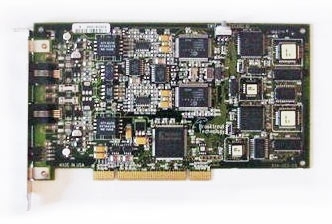 These cards were commonly known as Voice Boards, which was the term that customers would frequently search online when looking to purchase both Dialogic and Rhetorex cards. We wanted people to easily find us by searching online, so as a result, the website www.Voice-Boards.com was created. By the time we launched the Voice-Boards.com website in 1997, we were selling Dialogic cards to far more people than just our software customer base alone. While some of our software customers would purchase the software and Dialogic card from us to personally install in their own computers, more and more customers began wanting a complete, turn-key solution by having them professionally installed by us and shipped directly to them. This is how we began the service of building Custom Computers. Since our first computer customers were also Dialogic card customers, we thought to include them on our Voice-Boards.com website. 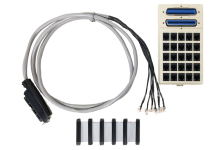 After the addition of this service to our website, we starting selling computers to a great deal of customers outside of our software and Dialogic card clients. Over the years, we've sold our computers to a variety of different reputable companies for all types of applications around the globe. In addition to selling Dialogic cards and building and selling Custom Computers, we design Call Center Software and operate ZoomCalls VoIP Phone Service. Collectively, we have sold our products in every state in the USA and in 93 different countries on every continent, with the sole exception of Antarctica. With each of our products, our goals remain the same: To provide our customers with top quality, dependable hardware, cutting edge, user-friendly software, helpful and competent support service, and cost effective prices. EVS is an accredited member of the Better Business Bureau with an A+ rating.